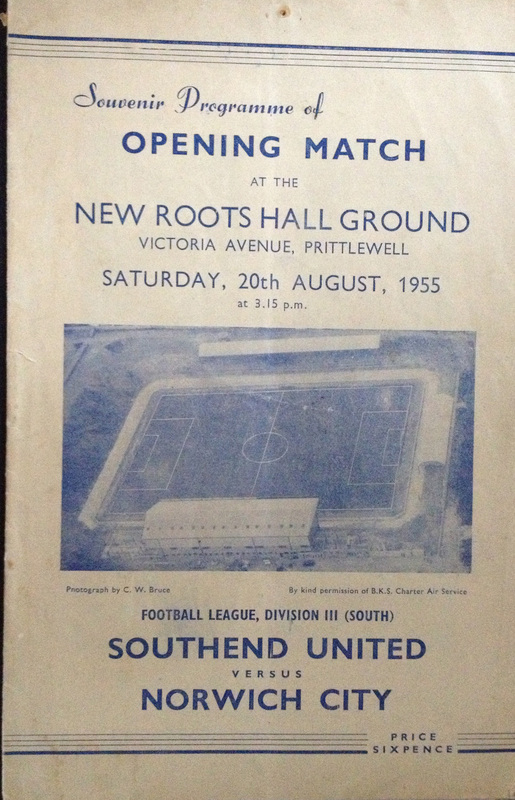 (1) Southend United 3 Norwich City 1 (August 20th 1955) – A crowd of 17,700 watch the opening game at the new Roots Hall ground. 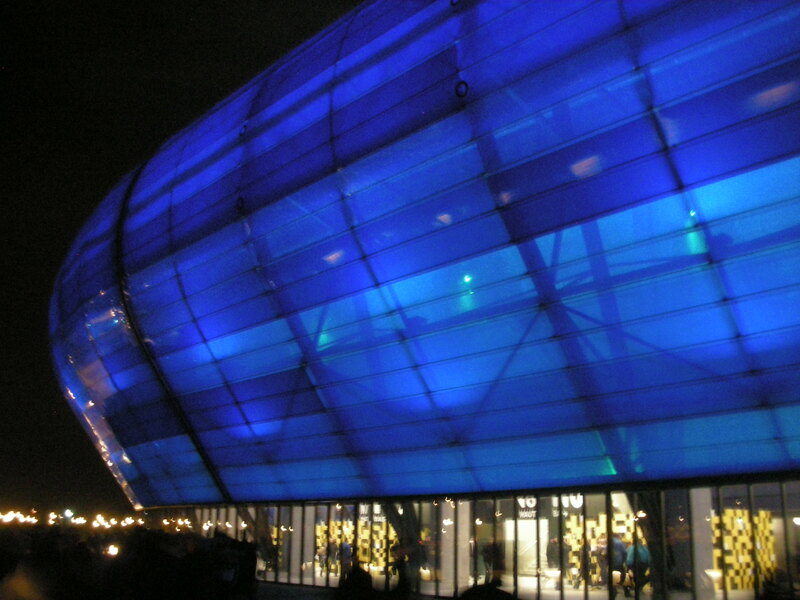 Irish international Sammy McCrory has the honour of scoring the first ever goal at the new stadium. Blues: Harry Threadgold, Doug Young, Sandy Anderson, Jim Duthie, Dennis Howe, Jimmy Lawler, Dickie Dowsett, Sammy McCrory, Roy Hollis, Kevin Baron and John McGuigan. 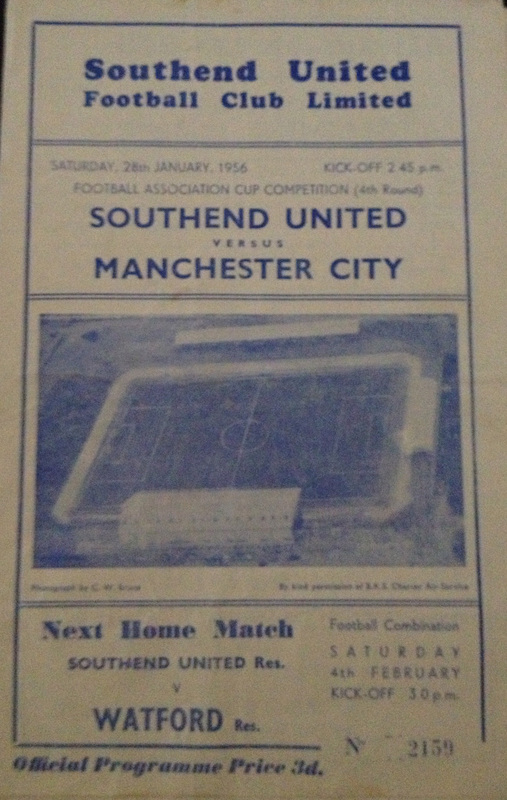 (2) Southend United 0 Manchester City 1 (January 28th 1956) – Nearly 30,000 cram into Roots Hall to see the Shrimpers give City a fright on a muddy Roots Hall pitch. Joe Hayes scored the only goal as Bert Trautmann kept Southend at bay. Skipper Roy Paul said “we were lucky, those Southend boys gave everything they had”. Blues: Harry Threadgold, Arthur Williamson, Dennis Howe, Jim Duthie, Jim Stirling, Jimmy Lawler, Crichton Lockhart, Sammy McCrory, Roy Hollis, Kevin Baron and John McGuigan. 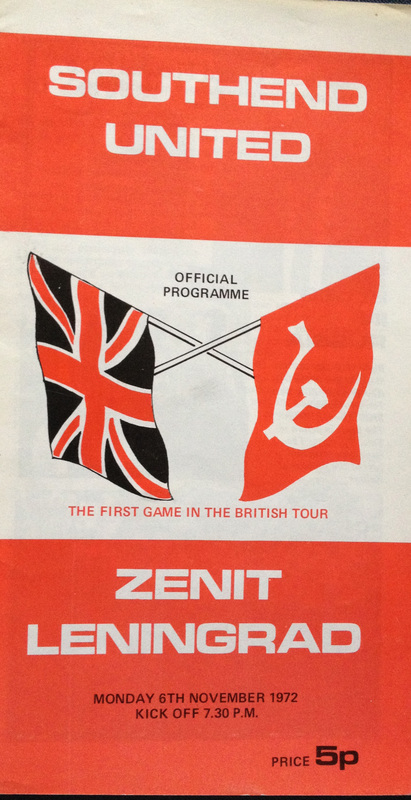 (3) Southend United 1 Zenit Leningrad 1 (November 6th 1972) – A striking red programme for the visit of guests from the Soviet Union. A Bobby Bennett goal ensured a creditable draw. 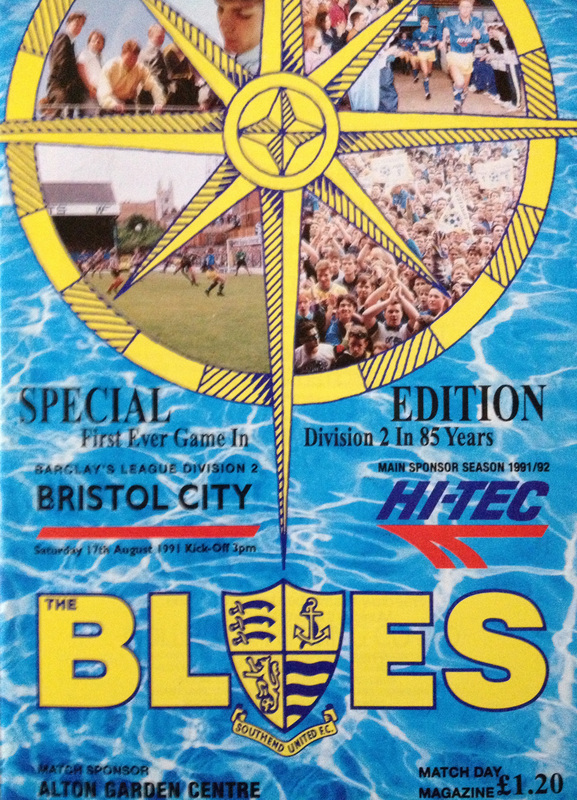 Blues: Derek Bellotti, Dennis Booth, Ray Ternent, Dave Elliott, Brian Albeson, Mike Harrison, Terry Johnson, Billy Best, Bobby Bennett, Robin Wainwright (Guest player) and Peter Taylor (sub Gary Moore). 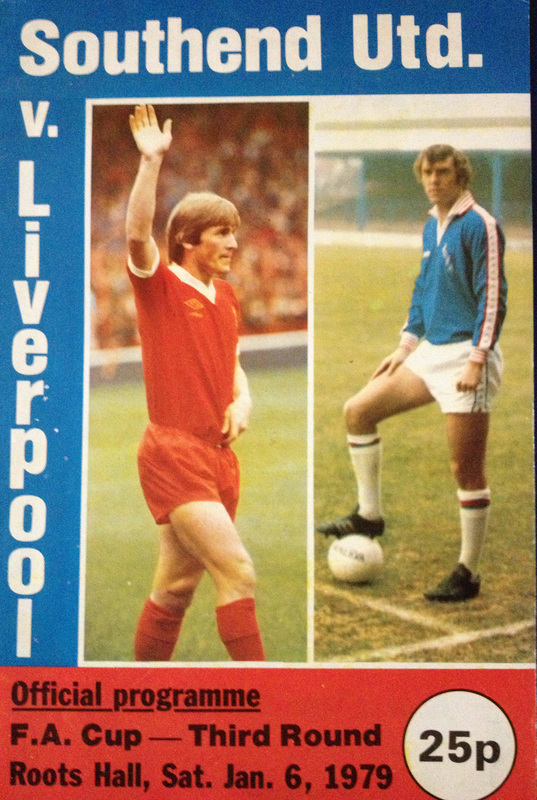 (4) Southend United 0 Liverpool 0 (January 10th 1979) – Already postponed once due to snow, Dave Smith’s boys gave Liverpool, the reigning European Champions, a hell of a fright at Roots Hall in front of an all time record gate of 31,033. Blues: Mervyn Cawston, Micky Stead, Steve Yates, Micky Laverick, Tony Hadley, Alan Moody, Colin Morris, Ronnie Pountney, Derrick Parker, Phil Dudley and Gerry Fell. 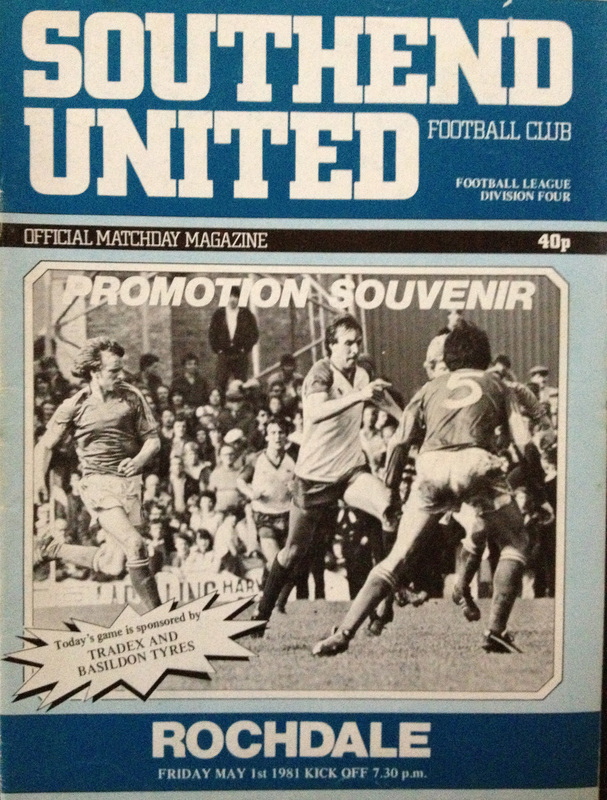 (5) Southend United 0 Rochdale 0 (May 1st 1981) – Southend crowned Fourth Division champions, remaining unbeaten at home all season. Blues: Mervyn Cawston, Micky Stead, Steve Yates, Tony Hadley, Alan Moody, Dave Cusack, Terry Gray, Ronnie Pountney, Derek Spence, Garry Nelson and Anton Otulakowski. 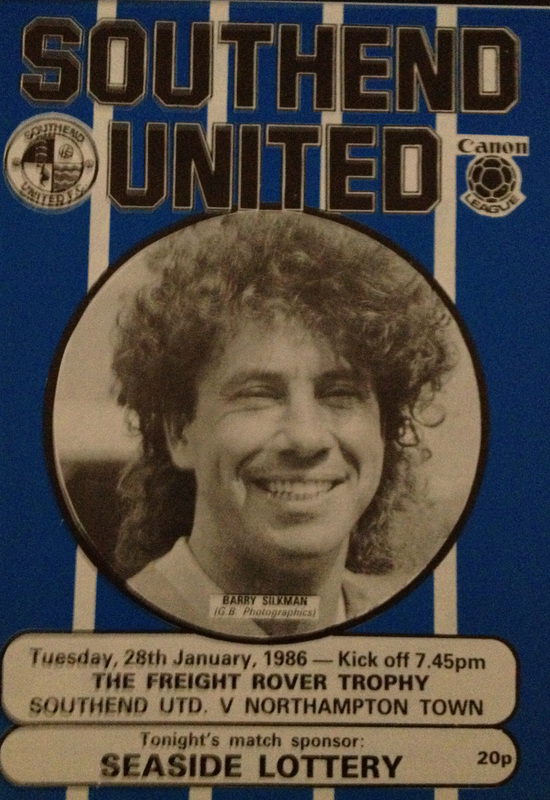 (6) Southend United 1 Northampton Town 3 (January 28th 1986) – A fruitless group game in the Freight Rover Trophy draws the lowest ever crowd to Roots Hall for a first team game, just 683 hardy souls paid to watch this defeat. Frank Lampard scores Southend’s only goal of the game. Blues: Jim Stannard, Warren May (sub. Micky Engwell), Glenn Pennyfather, Danny O’Shea, Shane Westley, Steve Hatter, Paul Clark (sub.Terry Pryer), Frank Lampard, Richard Cadette, Dean Neal and Roy McDonough. 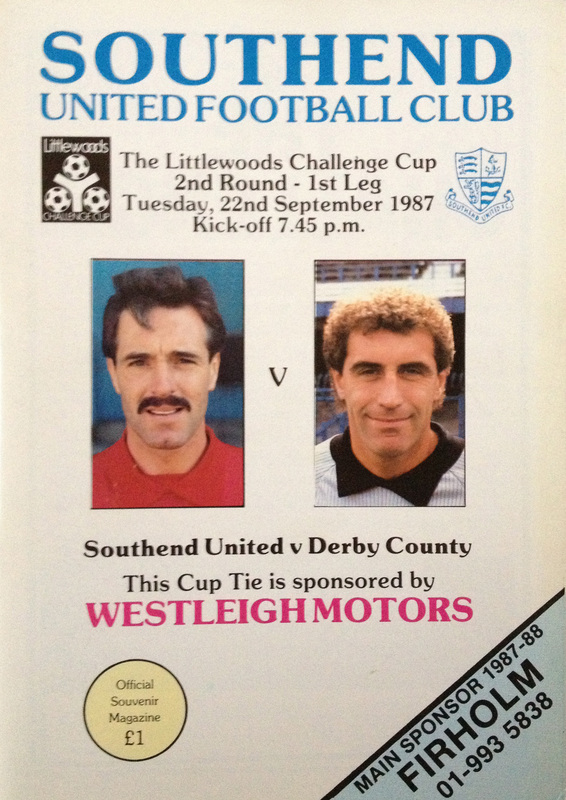 (7) Southend United 1 Derby County 0 (September 27th 1987) – A Roy McDonough penalty against England’s Peter Shilton secured Southend’s first ever home win over top flight opponents. Blues: Eric Steele, Dave Martin, Peter Johnson, Adrian Burrows, Shane Westley, Derek Hall, Martin Robinson, Glenn Pennyfather, Lee Nogan, Roy McDonough and Martin Ling. (8) Southend United 1 Bristol City 1 (August 17th 1991) – Our first ever game in the second tier of English football, Ian Benjamin, the man who had secured us promotion at Bury the previous season, appropriately scores our opening goal in the highest level we have played at. Blues: Paul Sansome, Dean Austin, Chris Powell, Dave Martin, Andy Edwards, Spencer Prior, Andy Ansah, Andy Sussex, Kevin O’Callaghan (sub.Steve Tilson), Ian Benjamin and Brett Angell. 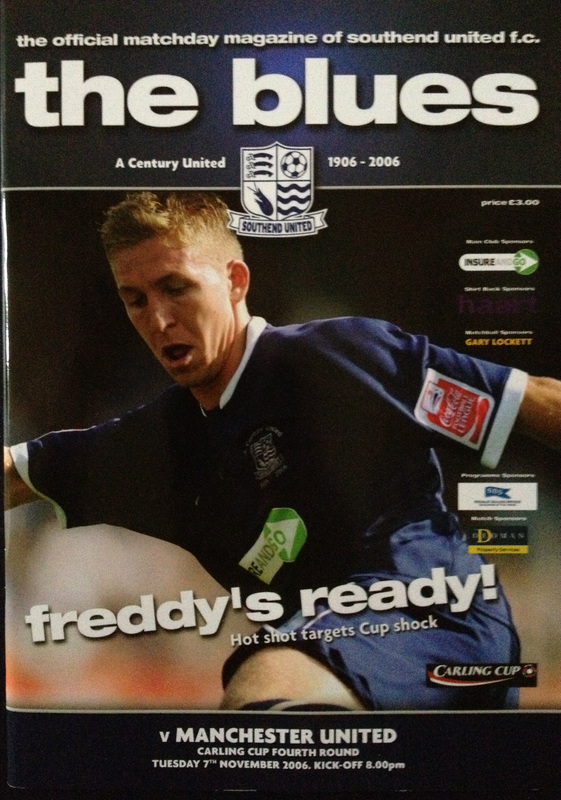 (9) Southend United 1 Manchester United 0 (November 7th 2006) – A famous Carling Cup upset as Freddy Eastwood’s wondrous free kick sent Fergie’s star studded team, including Rooney and Ronaldo, crashing out of the cup. 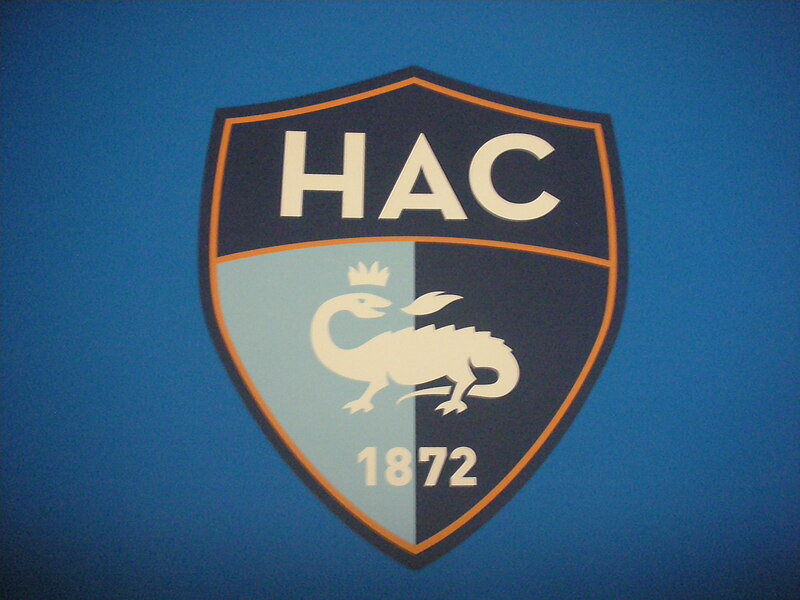 Blues: Daryl Flahavan, Lewis Hunt (sub.Simon Francis), Steve Hammell, Efetobore Sodje, Spencer Prior, Mark Gower, Peter Clarke, Kevin Maher, Jamal Campbell-Ryce, Freddy Eastwood and Gary Hooper (sub James Lawson). 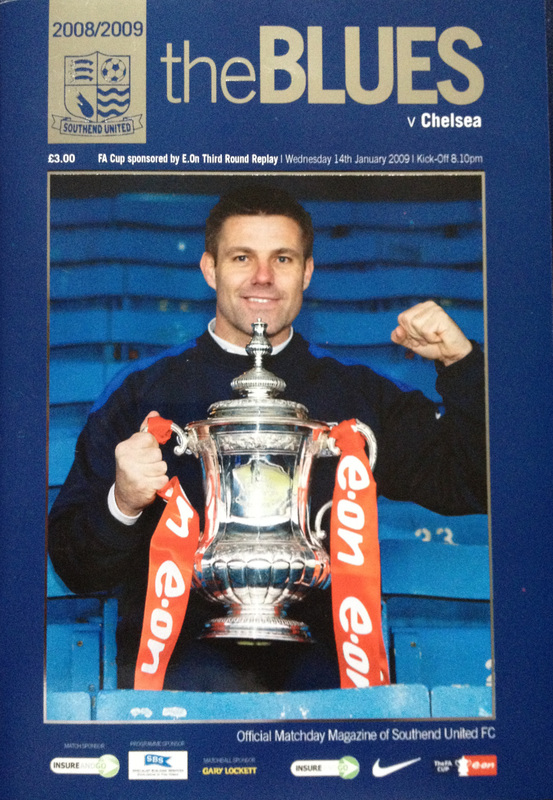 (10) Southend United 1 Chelsea 4 (January 14th 2009) – 11,314 watch an FA Cup replay against mighty Chelsea who run out comfortable winners, Adam Barrett scoring for the Blues. 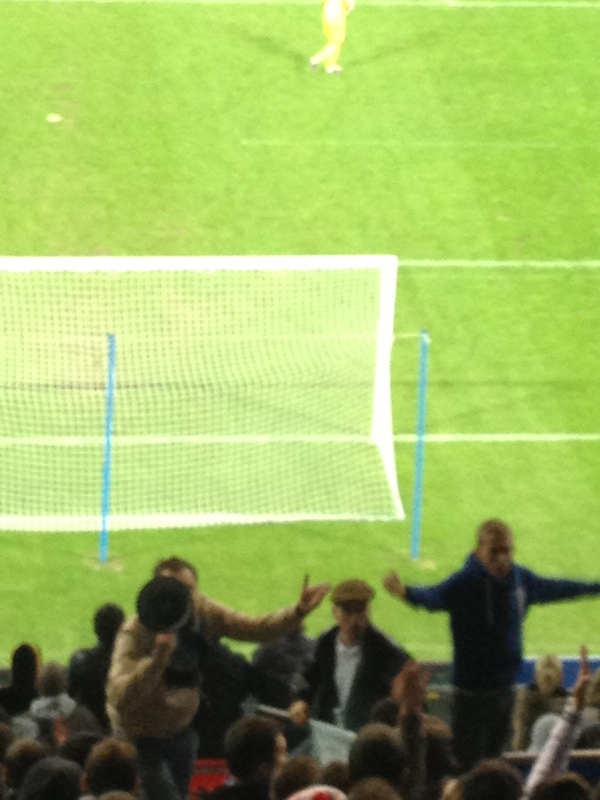 The replay came after a 1-1 draw at Stamford Bridge which saw Southend hit the bar in the closing minutes. Blues: Steve Mildenhall, Osei Sankofa, Johnny Herd, Peter Clarke, Adam Barrett, Junior Stanislas, Franck Moussa, Jean-Francois Christophe, Anthony Grant (sub Simon Francis), Lee Barnard (sub Dougie Freedman) and Alex Revell (sub Kevin Betsy). Figures indicate that with tourist places up 2500% in the last five years and unprecedented levels of investment, Belfast is booming. While the “peace” walls, political murals and segregated areas still exist, this is now a peaceful welcoming and fun place to visit. 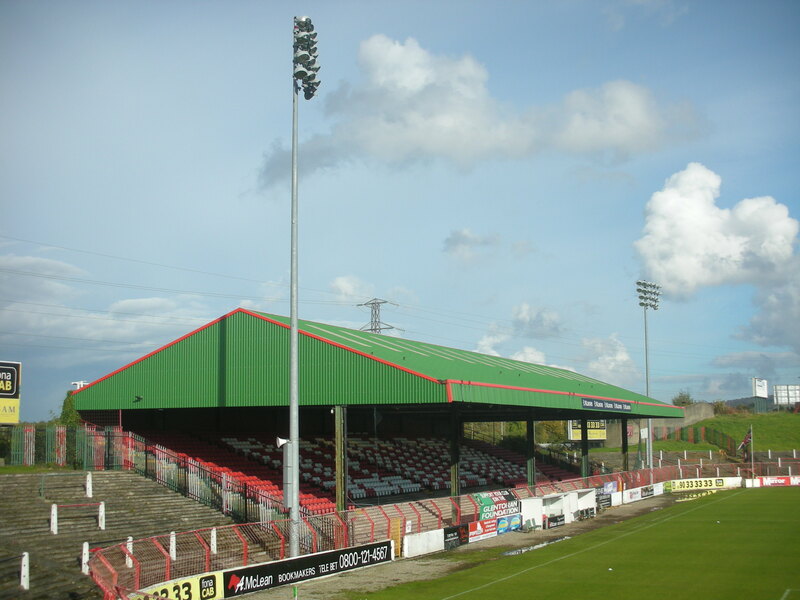 For football enthusiasts the Irish League grounds have seen little investment as yet and as such are redolent of a bygone era on the mainland. 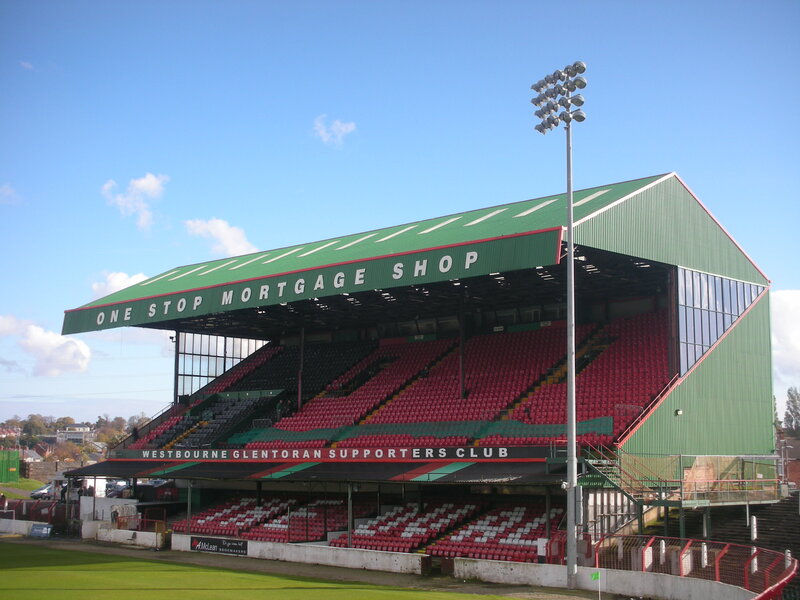 Glentoran’s ground at The Oval is a fine example, swathes of curving terrace at either end of the ground and two distinctly picturesque stands on either side. 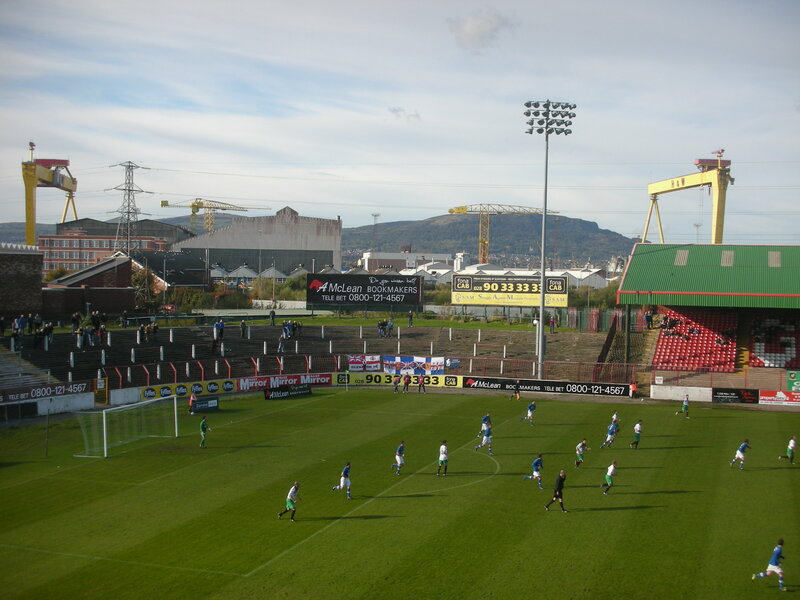 The perimeter of the stadium has some fine artwork and murals, the area of East Belfast is clearly depicted as are images of musical icons Van Morrison and Gary Moore. 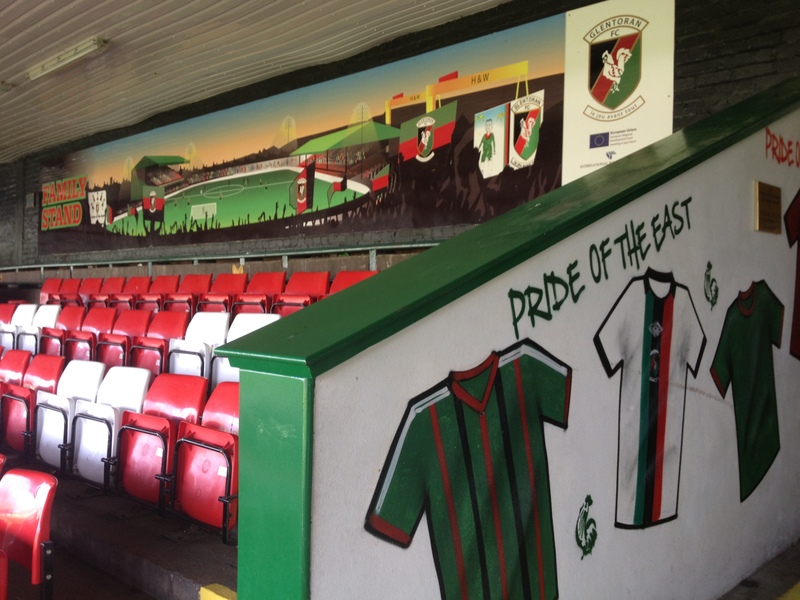 You enter the ground to the rear of the main stand which is bedecked with two large images of Glens heroes of yore, Fred Roberts and Sammy Hughes. A club clearly respectful of its history. £10 entry and a further £3 for a very readable programme and the beauty of this immaculate ground is immediately obvious. 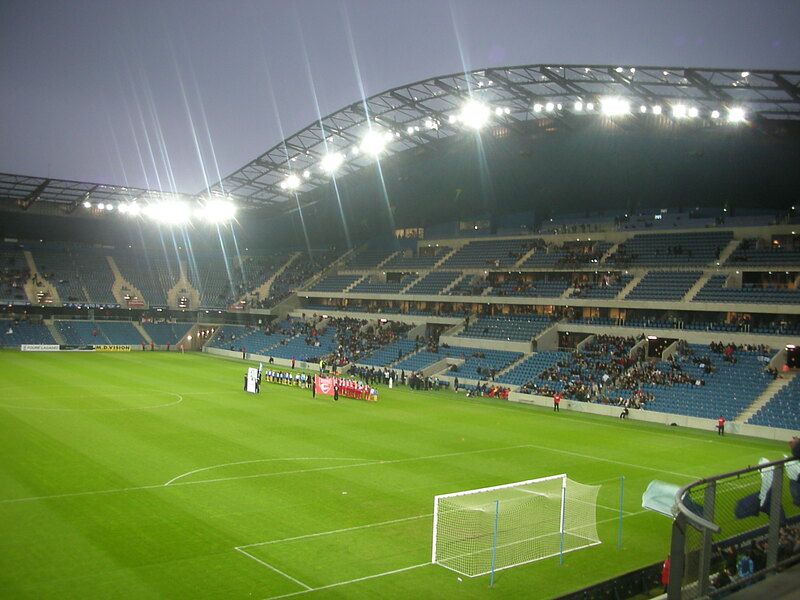 The main stand is twin tiered, the lower having “The Oval” picked out in white seats. The upper section again allows local artistic talent to show its skill with several murals around the staircases and rear walls. 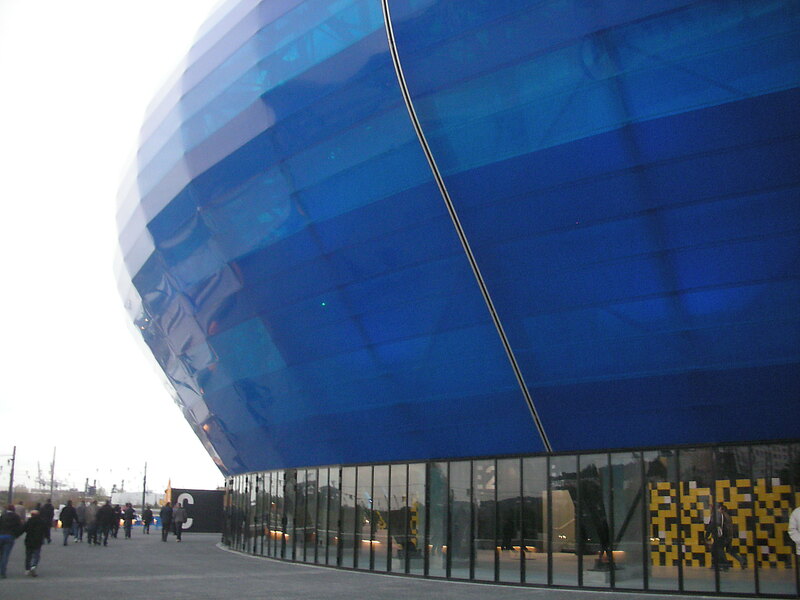 The exposed carcass of the roof would indicate at much older superstructure than the more recent but yet sympathetic re-cladding of the roof and exterior. 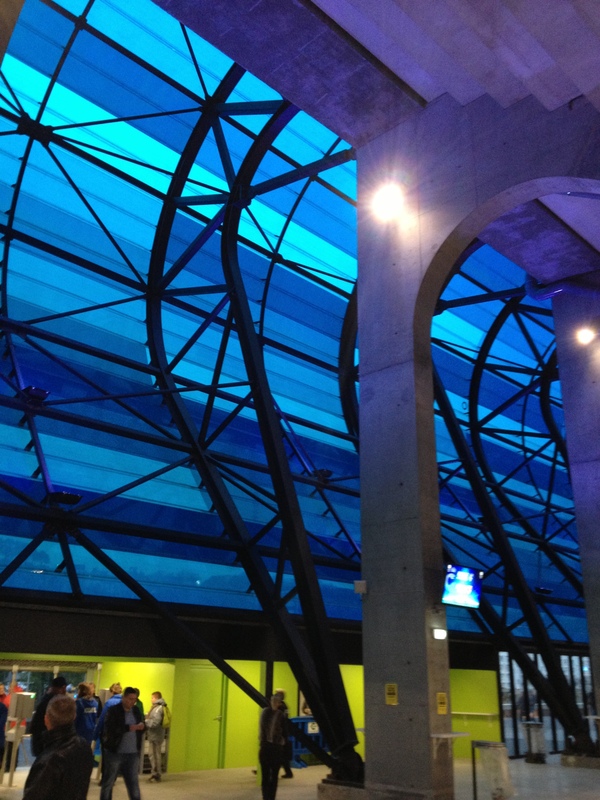 The stand opposite looks like a large covered terrace which has had seats bolted to the steps. 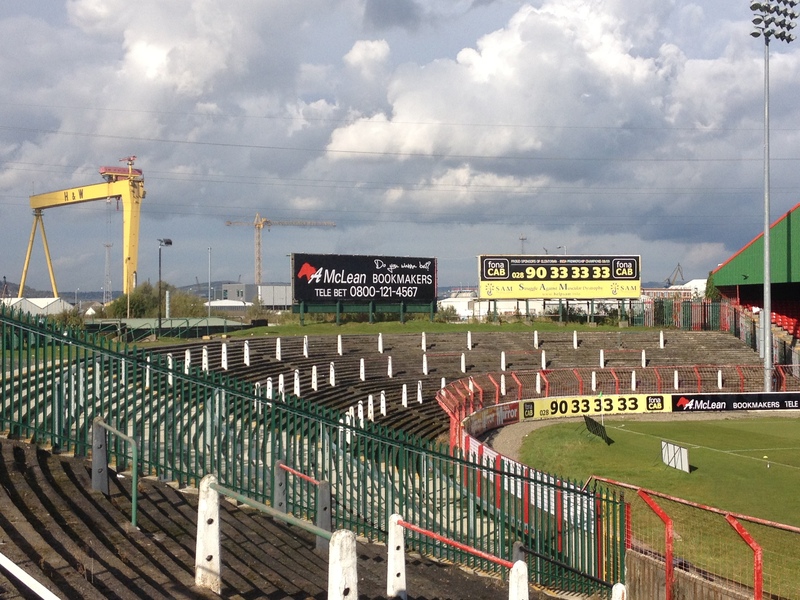 Coloured seats pick out “Glentoran”. 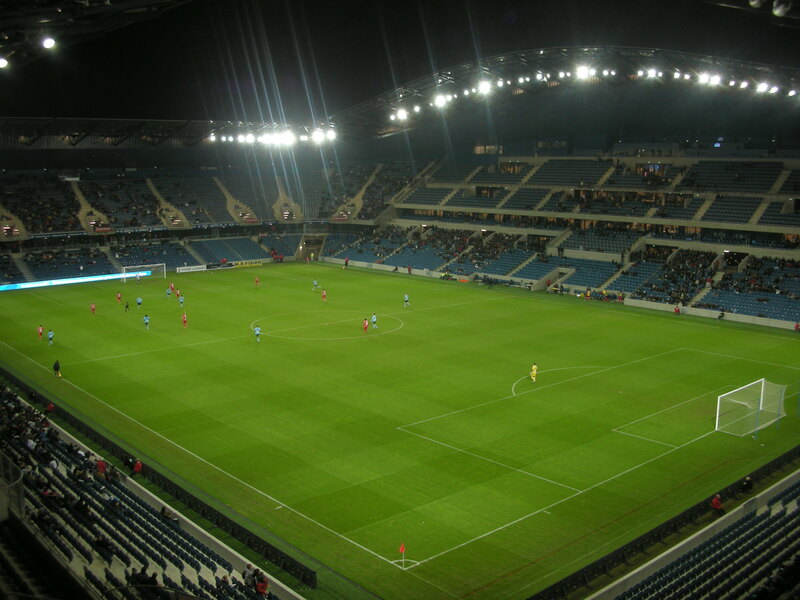 The City End terrace is where the away fans are housed, a vast open terrace cut in half by a dividing fence. The unique back drop of the redundant Harland and Wolff cranes of Samson and Goliath and several warehouses again evoke a bygone time. The opposite end has a vast grass bank with another substantial uncovered terrace set into it. Here Glensmen from the provinces display their colours with flags representing Larne, Ballymacarrett, Westbourne, Newtonards and Carryduff. 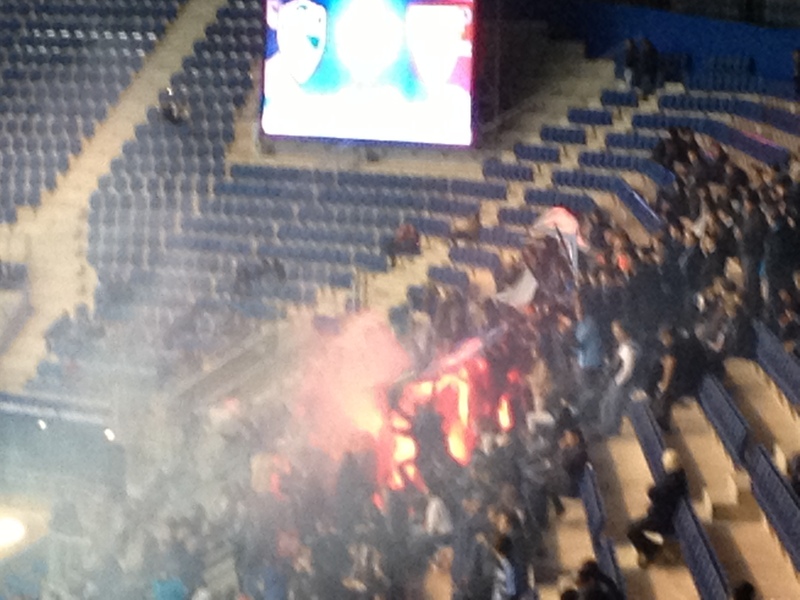 Tifo stickers from Govan Glens and the Legion 1882 group are also evident. The game itself has a dour first half with Richard Clarke’s optimistic effort somehow beating the visiting keeper and going in off the post. The visitors make a double change at half time with Andrew Mitchell lucky to not be almost immediately red carded for a blatant elbow right in front of the main stand. Popular he is not. The other Glenavon substitute, Marc Brown, makes a more positive impact levelling the scores after 69 minutes. 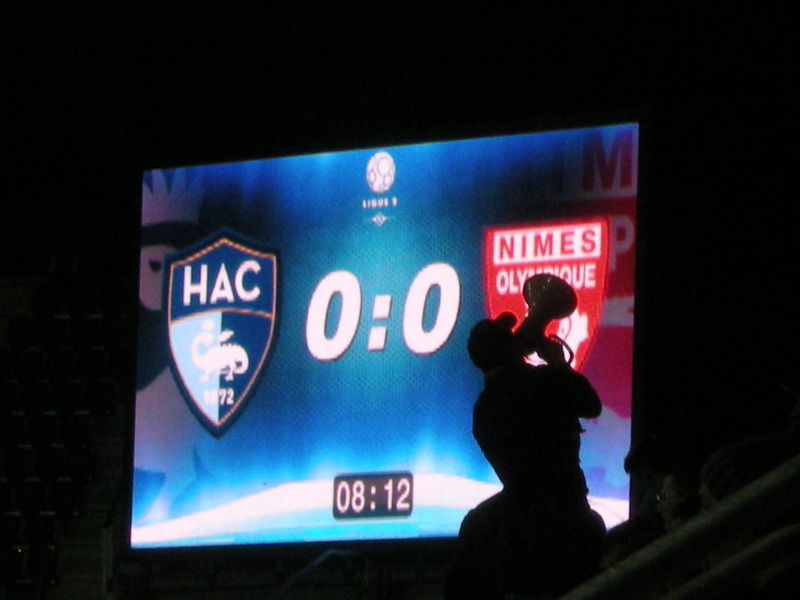 The parity lasted barely three minutes when Mark Clarke netted a deserved winner for the home side. The attendance is not given, I find out later it is 933, although at least another 300 were watching the Glens match and Manchester United v Stoke City from the supporters bar underneath the upper tier of the main stand. 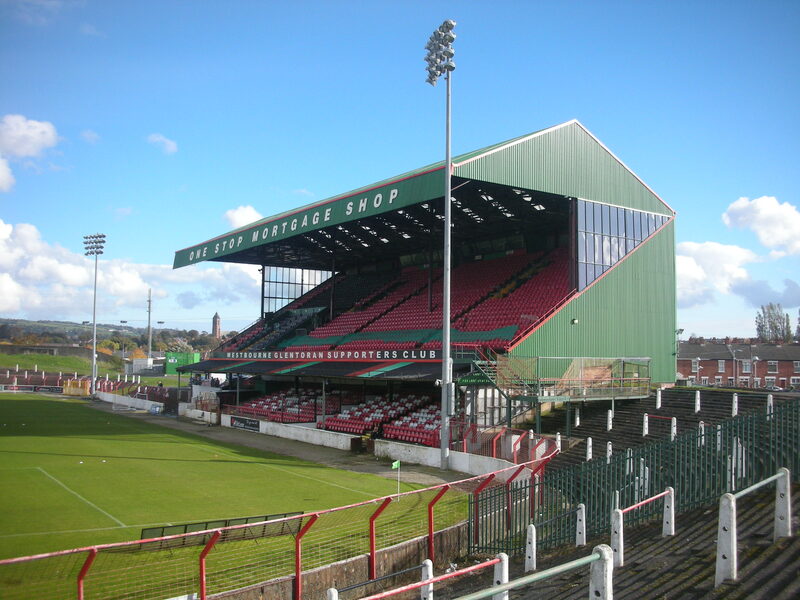 Glentoran: 18. Aaron Hogg; 3.Marcus Kane; 4. Richard Clarke; 7. Sean Ward (c); 8. David Howland; 10. Stuart Elliott; 11. Stephen Carson; 12. Mark Clarke; 17. Jimmy Callacher; 20. Jim O’Hanlon; 23. John McGuigan. 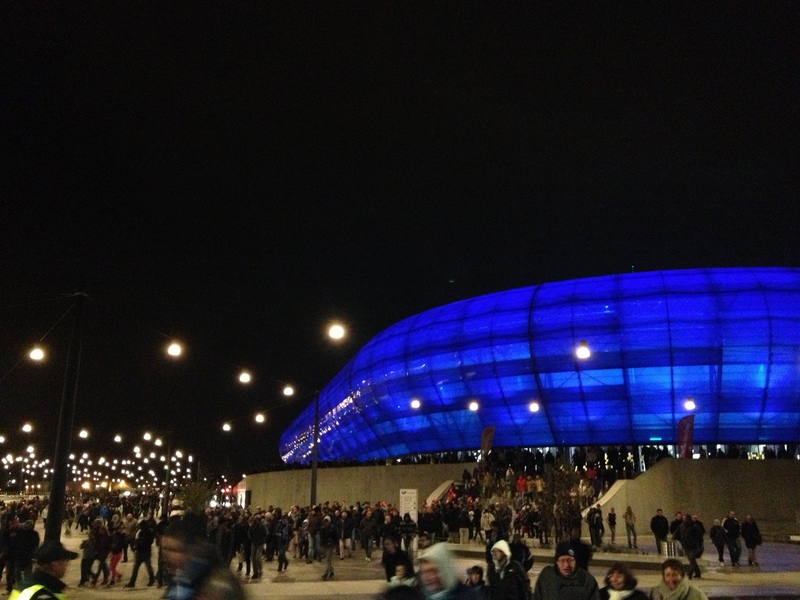 Subs: 16. Stephen McAlorum (for 23, 72 mins); 19. Martin Murray (for 11, 77 mins); 21. Carl McComb (for 10, 87 mins); 26. Stephen Gordon; 27. Kevin Bradley. 1. Andrew Coleman; 3. Kyle Neil; 4. Eddie McCallion (c); 6. Mark Haughey; 7. Andrew Kilmartin; 8. Ciaran Doherty; 11. Kris Lindsay; 12. Matty Burrows; 17. Andrew McGrory; 18. Mark Turkington; 80. Gary Hamilton. Subs: 14. Marc Brown (for 18, 46 mins); 19. Andrew Mitchell (for 12, 46 mins); 21. Robbie White (for 3, 90 mins); 15. Sean McCashin; 28. Jason Rogers.